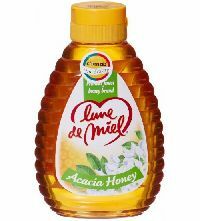 Features : Low sucrose and more fructose. 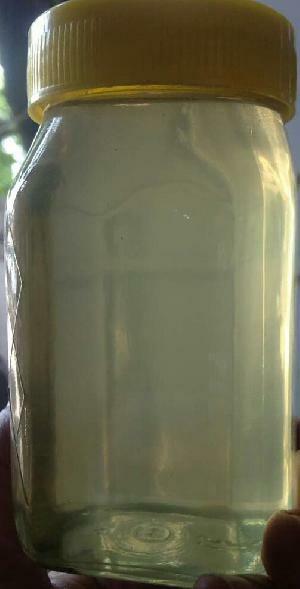 Low G.I. 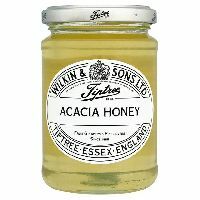 Rich source of energy. 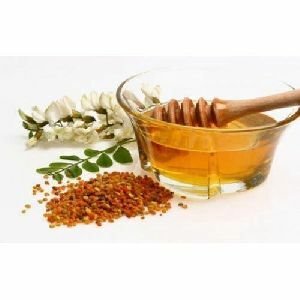 Contains flavonoids and phenols with antioxidant features. 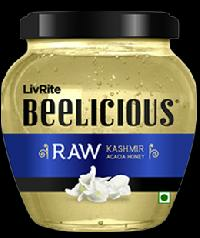 Rich in enzymes like amylase. 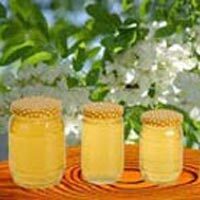 Antibacterial and antifungal properties. 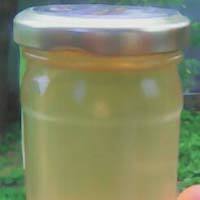 This honey is available in white colour & liquid form with very sweet test & mild fragrance. 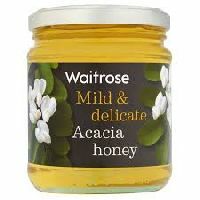 This is available in very less quantity. 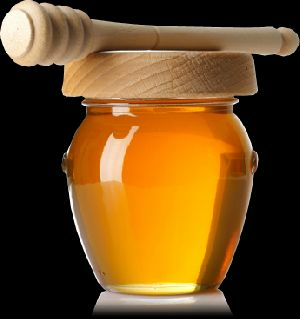 Benefits – This honey is collected by the bees from the flowers found in the region unknown to pollution and manmade pesticide sprays. 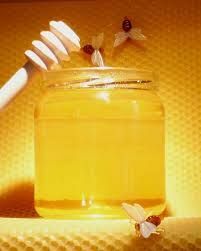 It is thus best for human consumption. 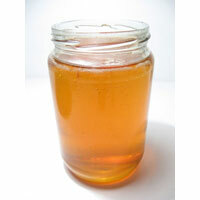 Apart from innumerable benefits of honey it is considered good for respiratory system. 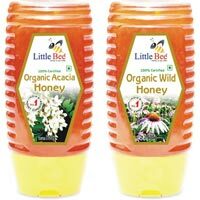 Organics Acacia Honey is a robust and exquisite Acacia Honey with a tangy fruitiness that is unique to this exotic Himalayan variety of Acacia and also reminiscent of the best Acacia Honeys. 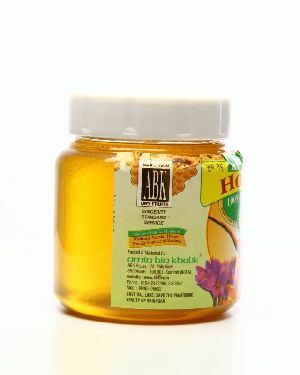 This rare and delicious Acacia honey is collected from the Mountains that form the border of the high plateau of the Ladakh region of Kashmir. 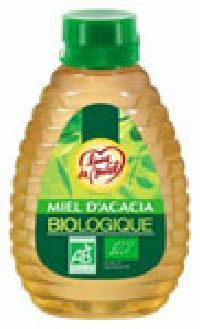 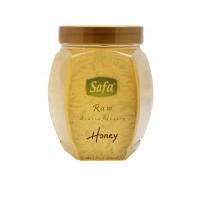 The company is a well-known Manufacturer and Supplier of Acacia Honey . 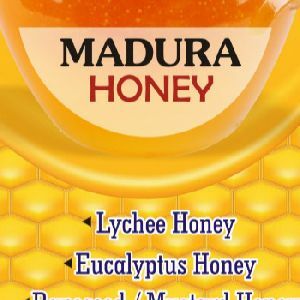 The variety of Acacia Honey made available by us is used in several delicacies, because it does not alter the original taste of the dish, but gently sweetens it. 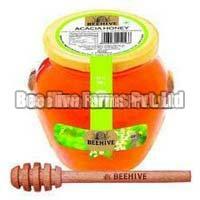 We offer Acacia Honey at highly competitive prices in the market. 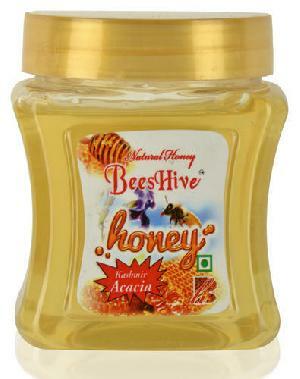 Also, Acacia Honey offered by us is packaged well, so as to eliminate any chances of adulteration or contamination. 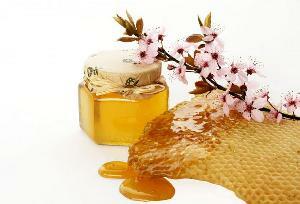 We collect white Acacia Honey form Kashmir and Shrinagar. 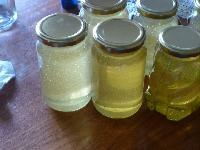 Its 100 % pure with different colour and different taste. 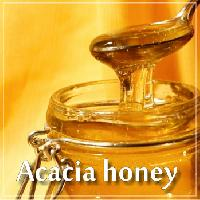 We are offering acacia honey. 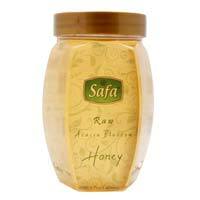 Pure acacia honey. 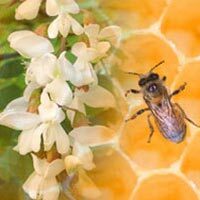 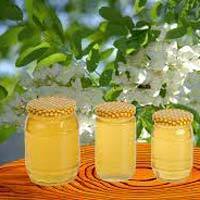 We are offering raw acacia blossom honey at very market leading prices. 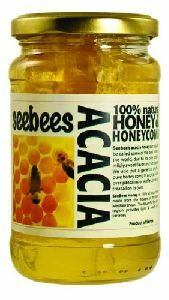 100% purity, freshness, longer shelf life and high nutritional value are some of the highlights of our Acacia Honey. 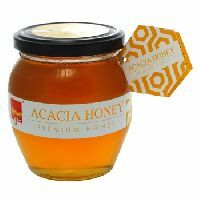 In conformity with the highest standards of quality, our Acacia Honey is free from added preservatives and therefore safe to consume. 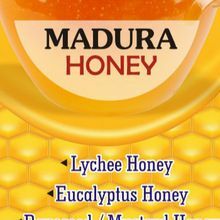 Rely on us for discounted price! 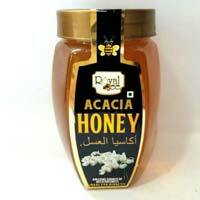 From India, we are the noteworthy Manufacturer, Exporter and Supplier of Acacia Honey. 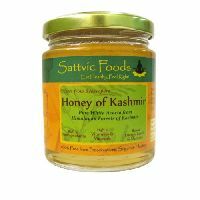 Kashmiri Acacia Honey that we offer is pure and delicious in taste as it is prepared from the nectar of Rabinia Spedo acacia commonly known as false acacia. 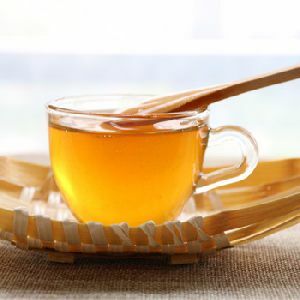 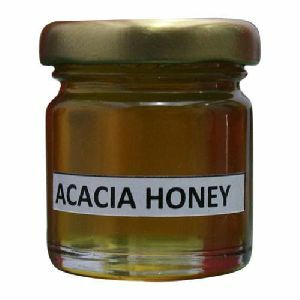 Kashmiri Acacia Honey has mild sweet floral flavor and is consumed directly or used for adding flavor in different dishes, tea, coffee and other beverages. 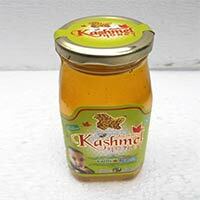 We provide Kashmiri Acacia Honey in tamper proof packaging for intact freshness and longer shelf life. 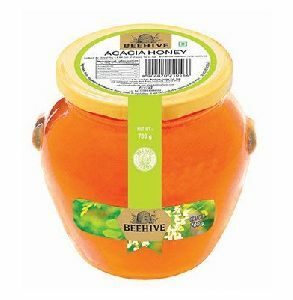 This organic forest honey, collected from honeybee areas carefully selected for their organic crops and wild flora, is remarkable for its intensity and its warm flavours of liquorice and toffee.